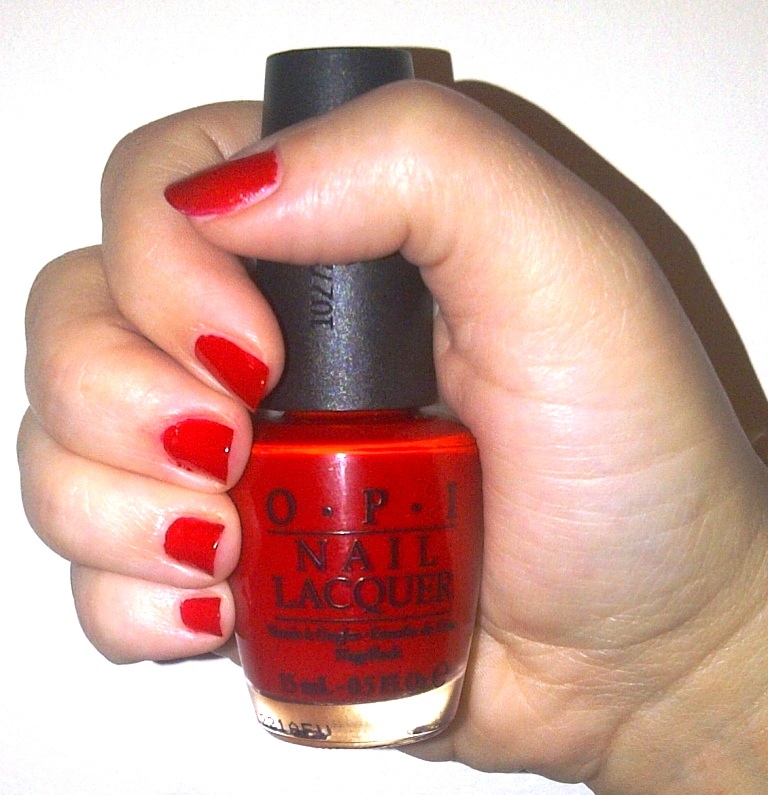 Today's Nails Of The Day feature quite possibly one of the most gorgeous red shades ever - OPI Big Apple Red. Big Apple Red is a true glossy red, a real classic. The colour you see in the bottle is exactly the shade you will get when applied. One coat achieves opacity but in this photo I have used two coats. Big Apple Red has long been a favourite of my mum, suiting her cool toned skin but as you can see from this photo it is just as flattering on my warmer, yellow toned skin. This is a must for red polish fans.